Hi Vanesther, am I right in thinking that you didn’t slash this loaf? It looks pretty uniform, so I am wondering. 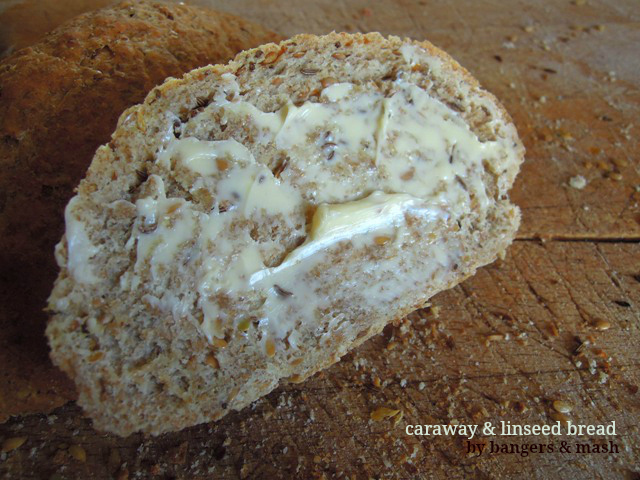 I love the thought of carraway in bread. I suspect that it would also go really well with cold cuts, and a large dollop of my green bean chutney. I meant to slash the loaf before letting it prove the second time. But forgot! So I did try cutting a little cross into it just before it went into the oven but it didn’t really work. I love the sound of your green bean chutney – is there a recipe for that on your blog? Well, you got away with it, there are no bumpy surprises to your beautifully rounded loaf. There is, indeed, a recipe on my blog. I’m delighted to share the recipe, so I don’t have to give away my precious chutney 😉 I’m also really pleased that a few people have made it, and love it as much as I do. 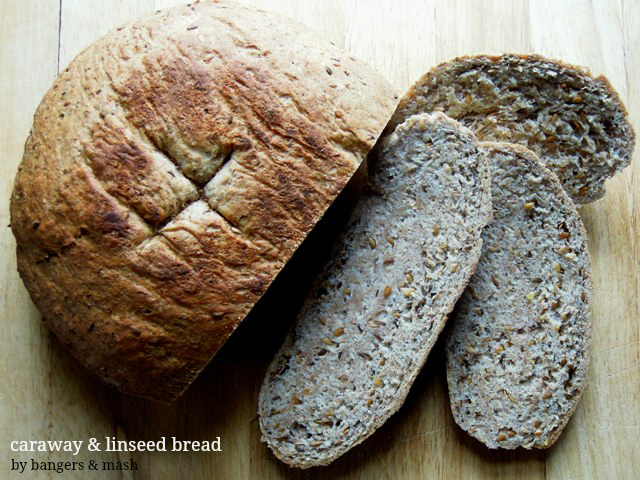 I’m not a big fan of caraway, but the bread looks lovely and there’s very little better than butter slathered on a slice of freshly baked bread.